8 minutes meals, here we come! 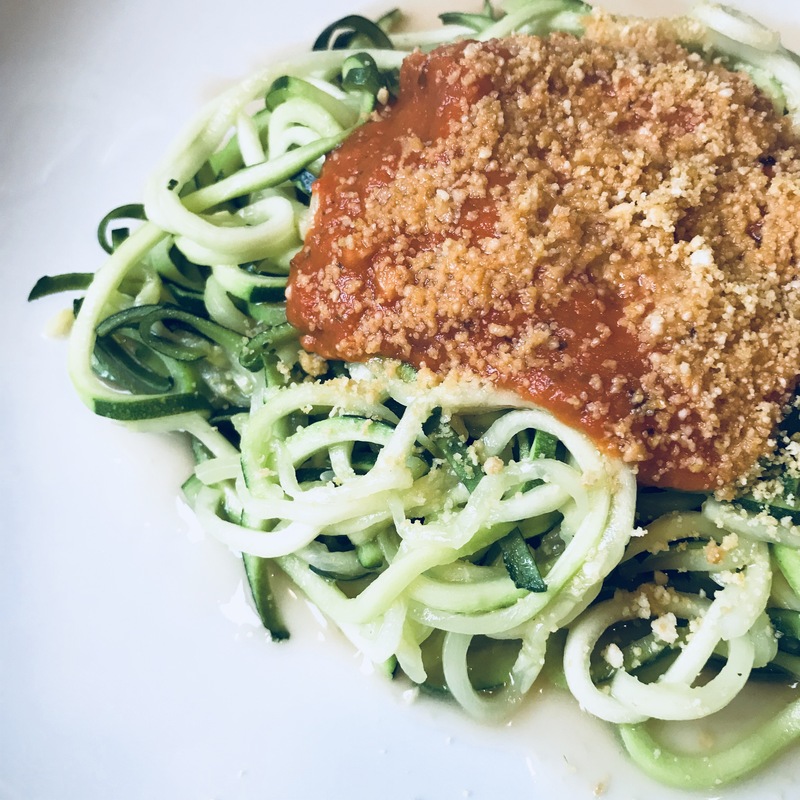 This Saucy Zoodles with Vegan Parmesan dish is crazy yummy, crazy easy and crazy quick to make! 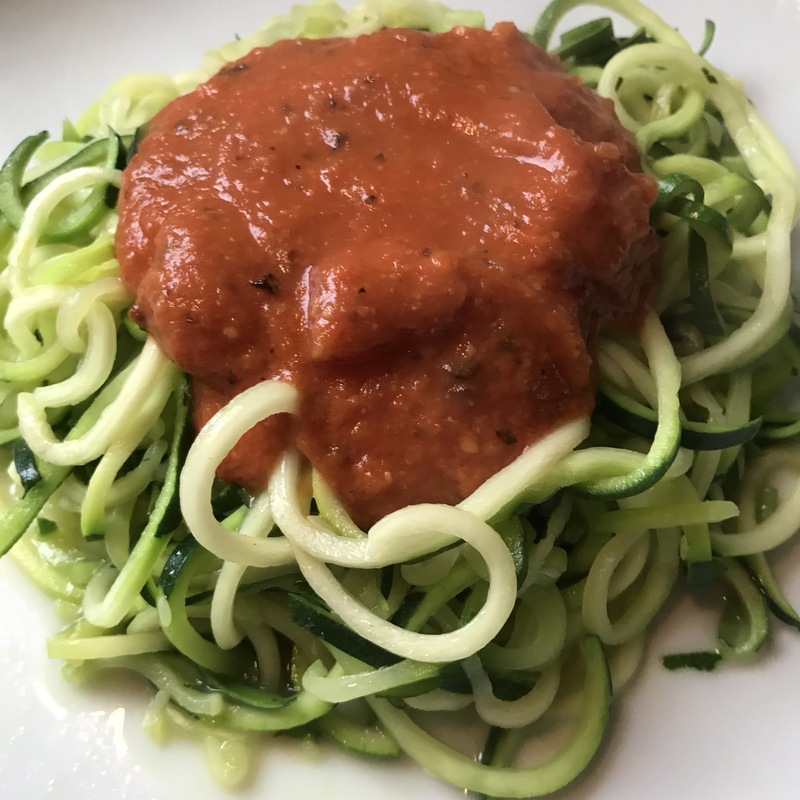 Zucchini noodles: sweet, simple and delicious! 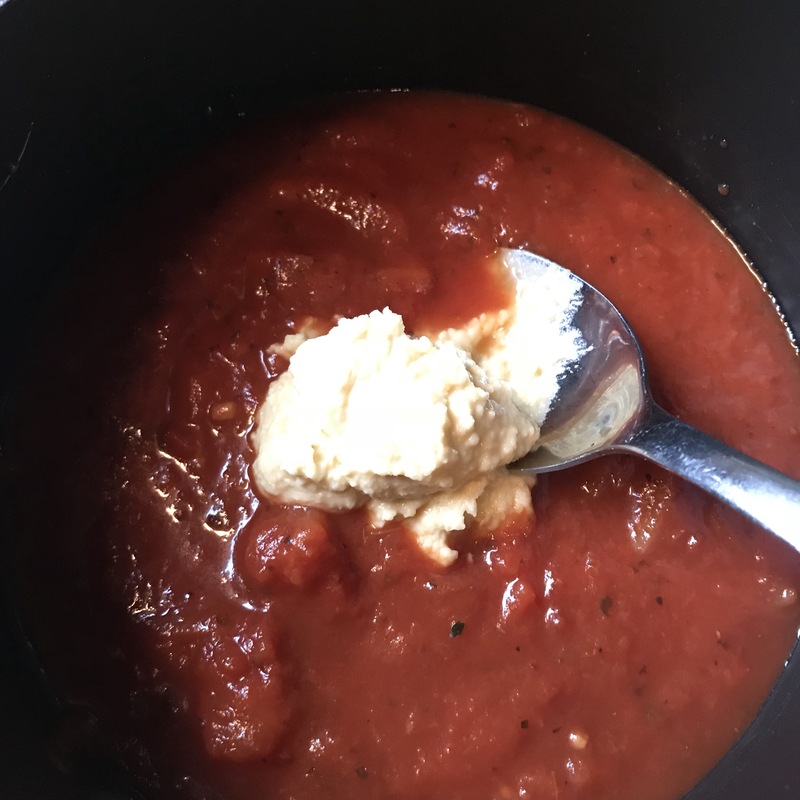 Marinara sauce: Your fave kind will do. Whether it is from a jar or homemade. The twist here is that when you are heating the sauce, you will be adding a couple tablespoons of hummus to it! Whaaat?? Yes! Adding protein and a creamy, garlicky richness. Vegan “Parmesan”: Yum! Made with Cashews, nutritional yeast, garlic and sea salt. Nutritional yeast is packed with protein! Yay!! 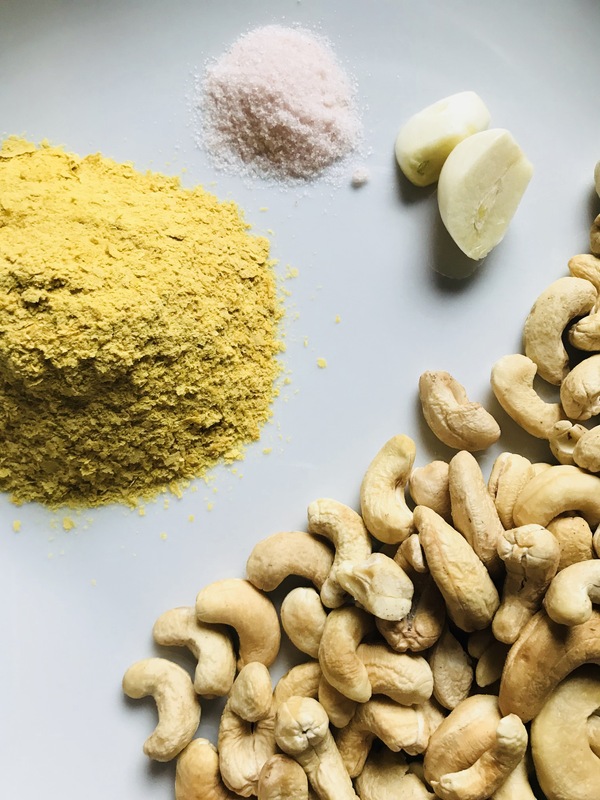 Add the protein from the cashews and you are sprinkling a little plant based protein power house of goodness on your meal! Keep the extra in the fridge and sprinkle on soups, salads, popcorn… everything! Then after photos I tasted it… then proceeded to scarf down the entire dish! I had forgotten how much I LOVE this dish! 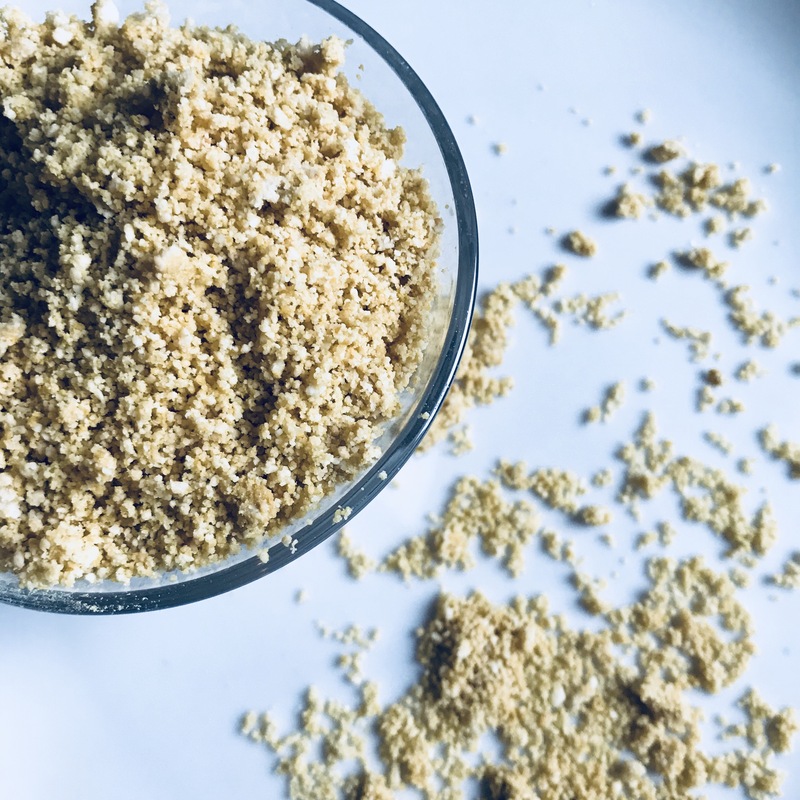 Make Vegan “Parmesan” by adding garlic and cashews to the food processor. Pulse until finely ground. Add nutritional yeast and sea salt to cashew mix and pulse again until all finely ground. 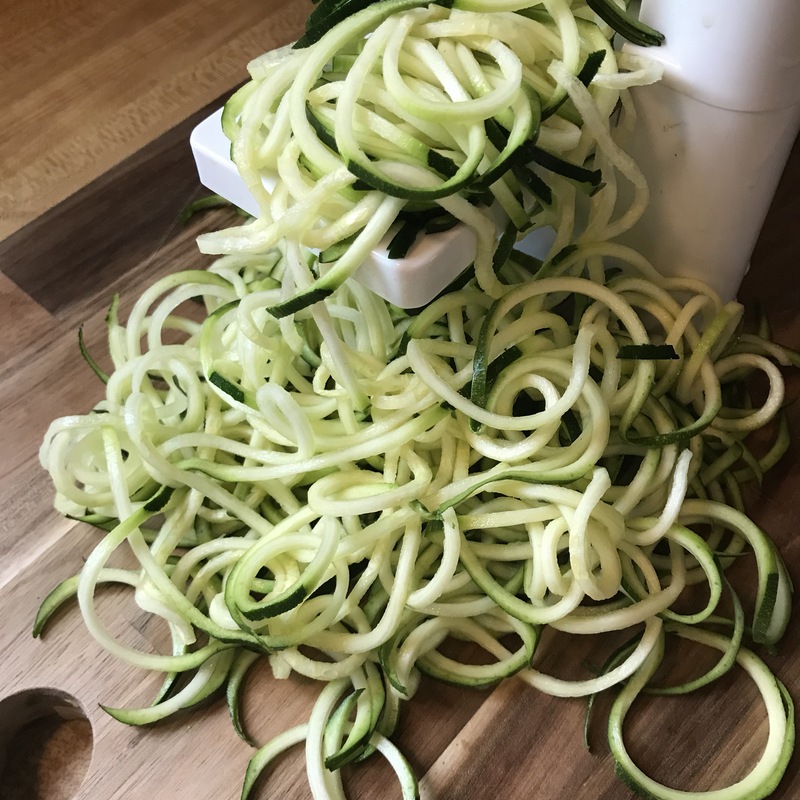 Use spiraliser to make zucchini noodles. Sautéed zucchini noodles in 1-2 Tsp of olive oil over medium to medium/high heat for 3-4 minutes. Heat marinara sauce in saucepan, add hummus and mix well. 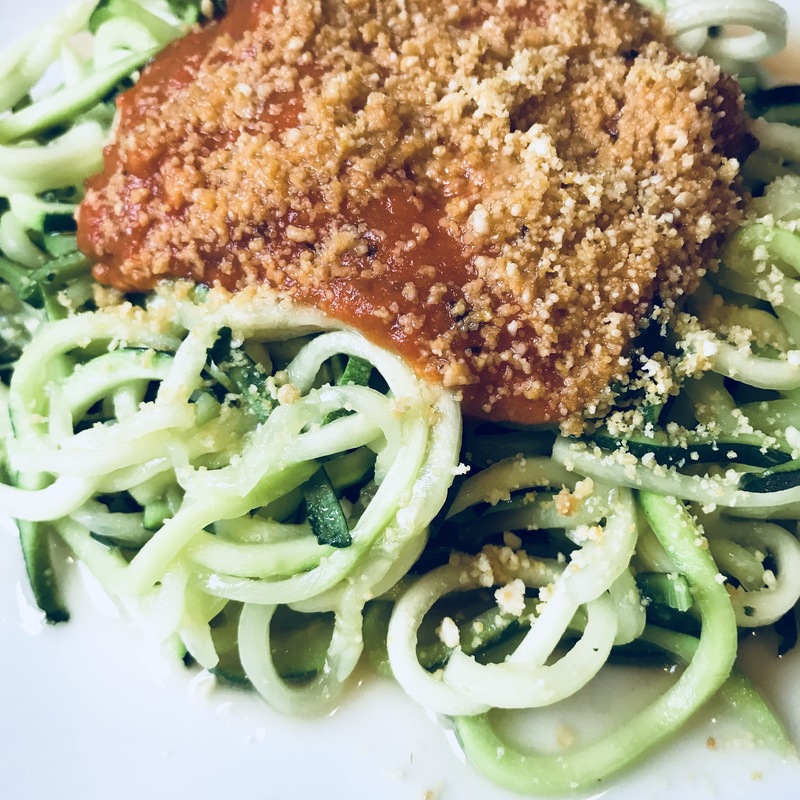 Plate up your Zoodles, top with hummus-y marinara sauce and then sprinkle with (ample amounts if you are like me) Vegan “parmesan”. Place all ingredients in the food processor and blend away. Check for consistency, add more olive oil if necessary. Check flavour, add more salt and or lemon juice to taste.